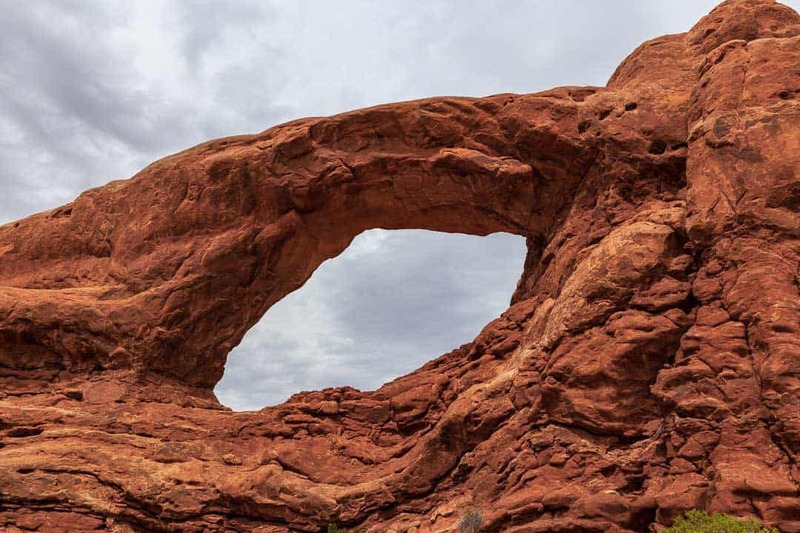 Visit ALL 5 Utah National Parks in Photographs - One Week Is Never Enough! 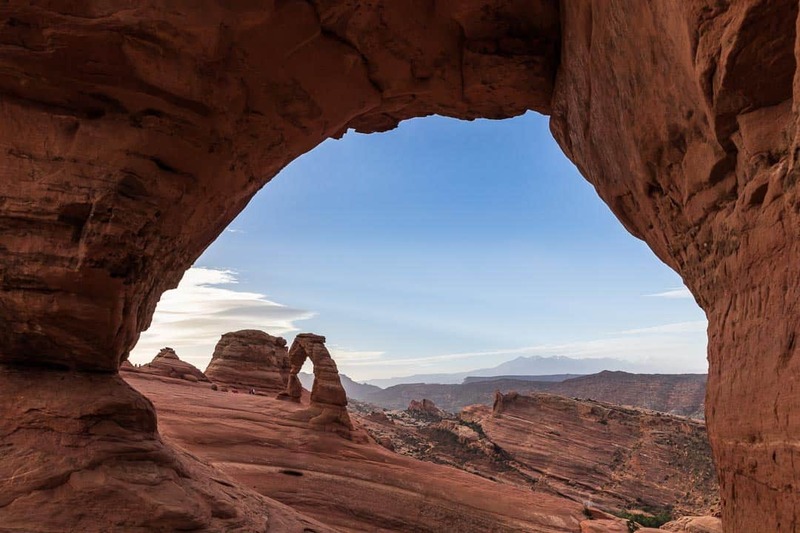 Utah National Parks are among the most spectacular in the country. 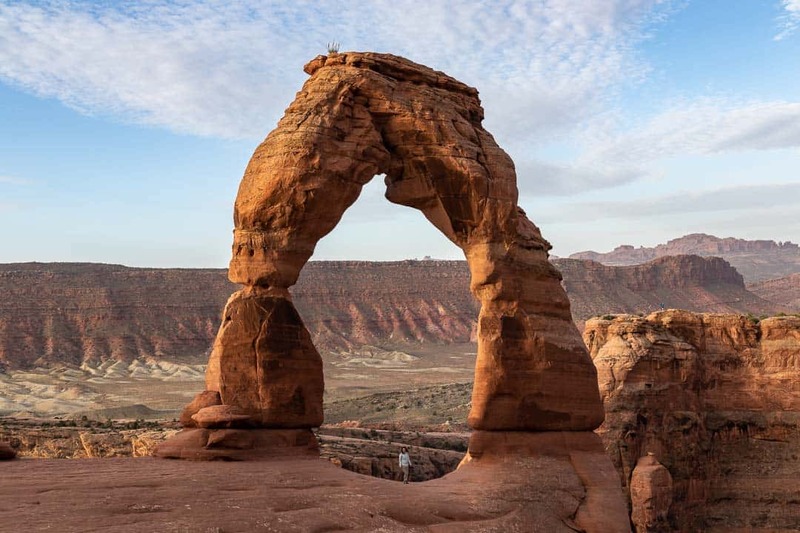 The state of Utah is third only to California and Alaska for the total number of national parks. 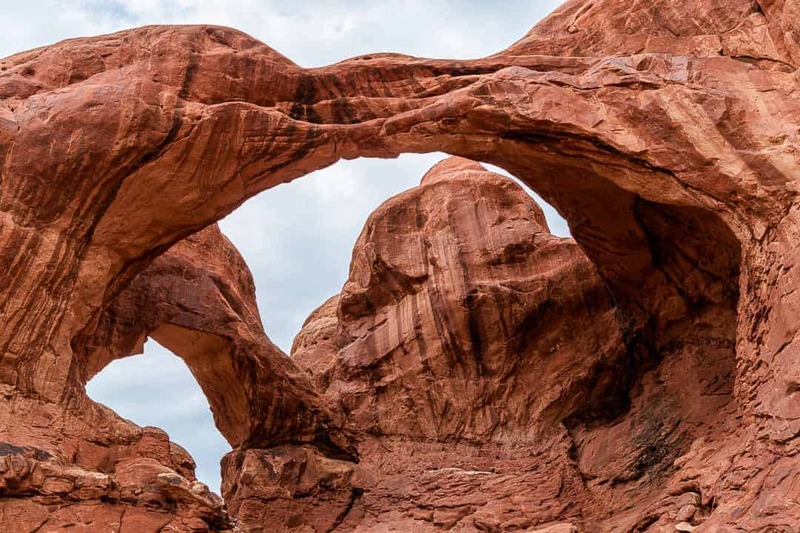 By size, a substantial portion of the state is covered by state and national parks. 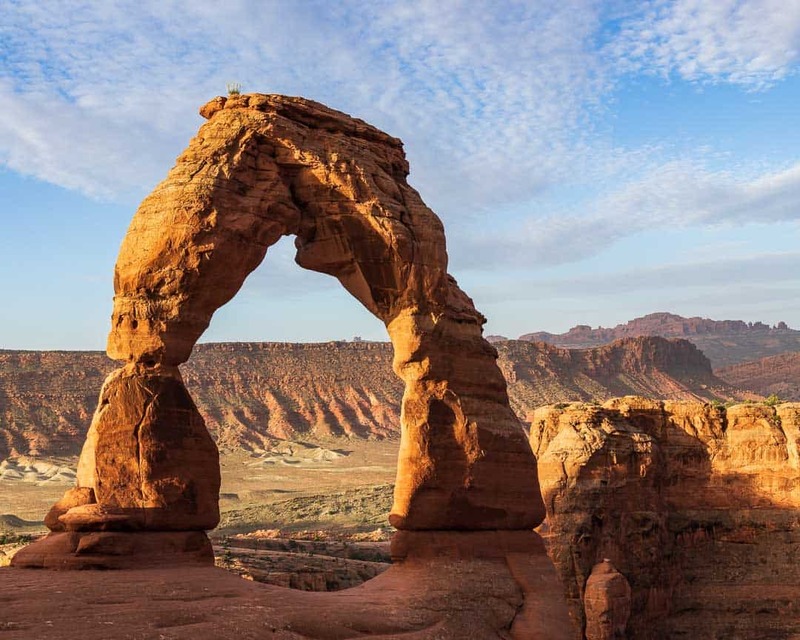 This makes Utah a wonderful place to plan a compressed visit. 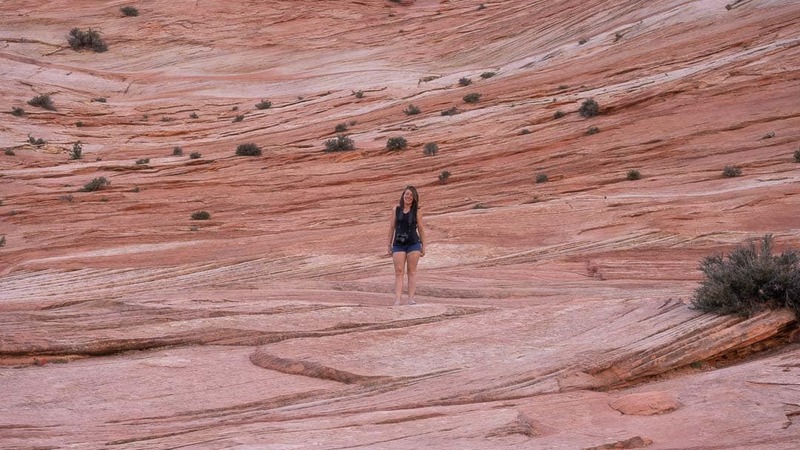 We visited ALL 5 Utah National Parks in 5 days. Of course this was not nearly enough to do each justice. However, we travel with our pup Everest and she is not welcome to hike in any of these parks. 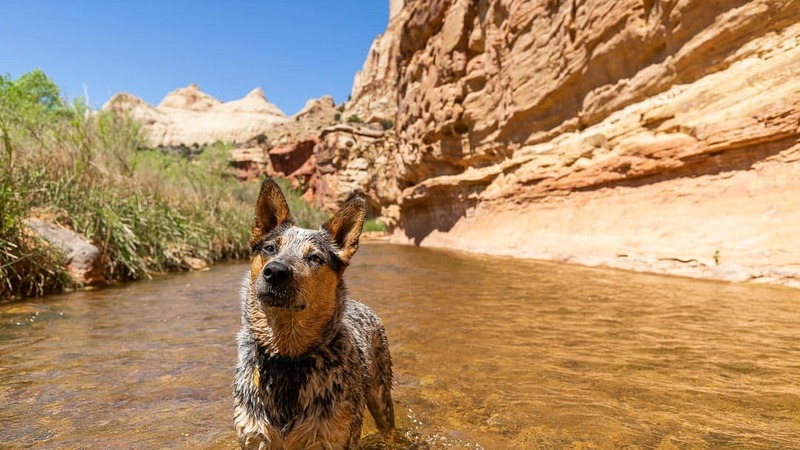 So we exchanged time in them for time in places like Zebra Slot Canyon and Little Wild Horse Canyon, where dogs are welcome on the trails. 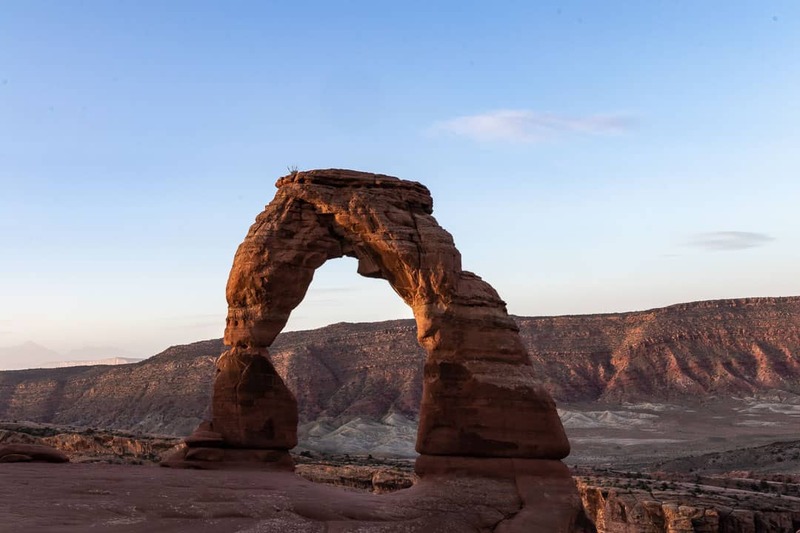 However, if you are interested in planning a trip to Utah, let these photographs inspire you to visit any or all of the Utah National Parks! 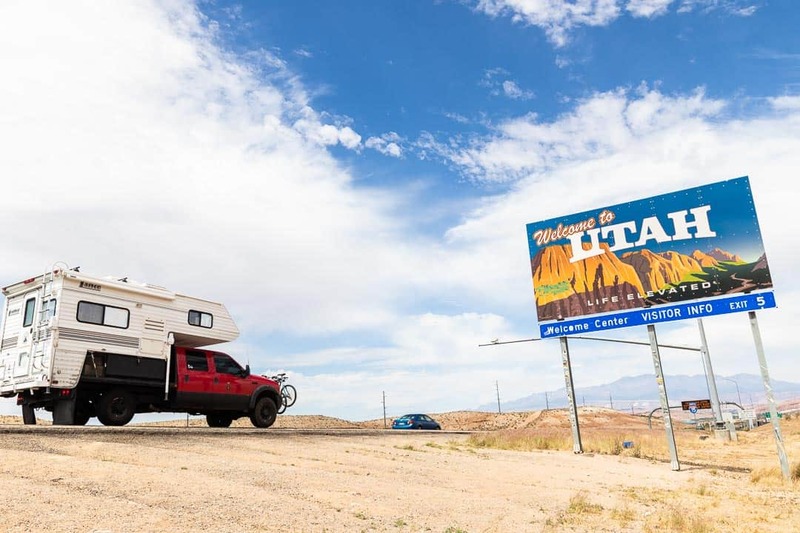 It all starts by arriving in Utah. We arrived in the state from Las Vegas via Interstate 15. 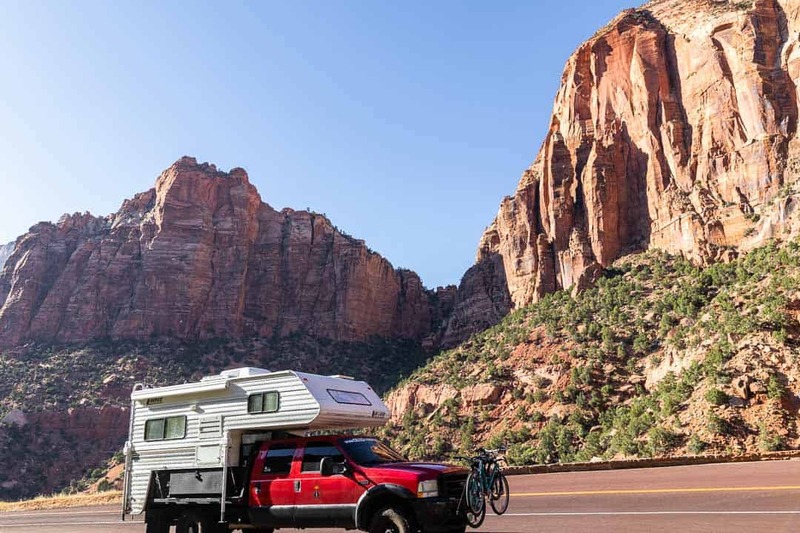 Thus Zion National Park was our first stop. 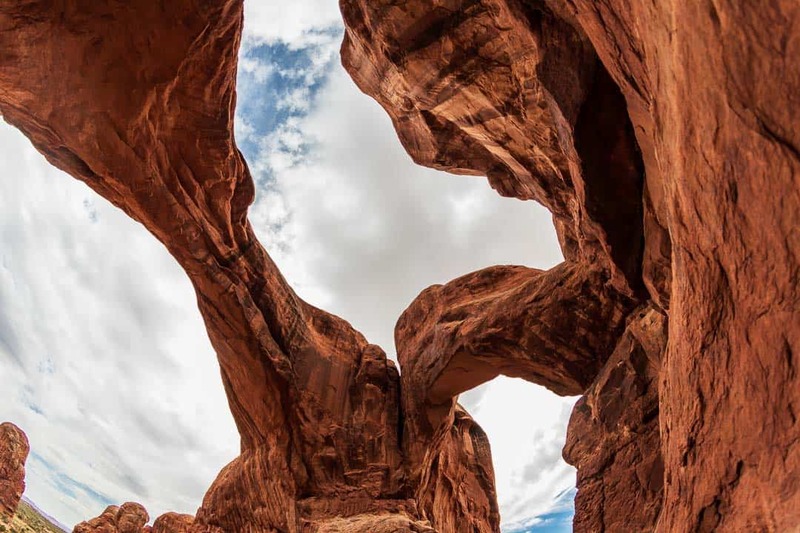 Catch a glimpse of each of the 5 Utah National Parks in the photographs below. These should give you an idea of why you should visit and where you would like to spend more time! 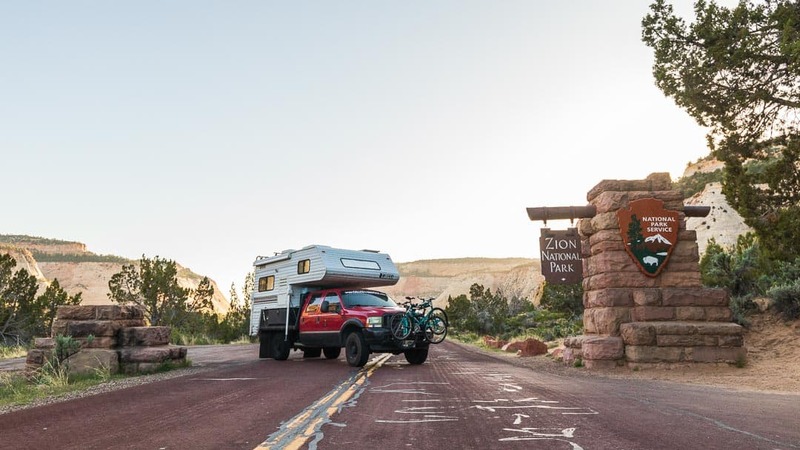 We arrived in Zion in early May and almost had the park to ourselves then! 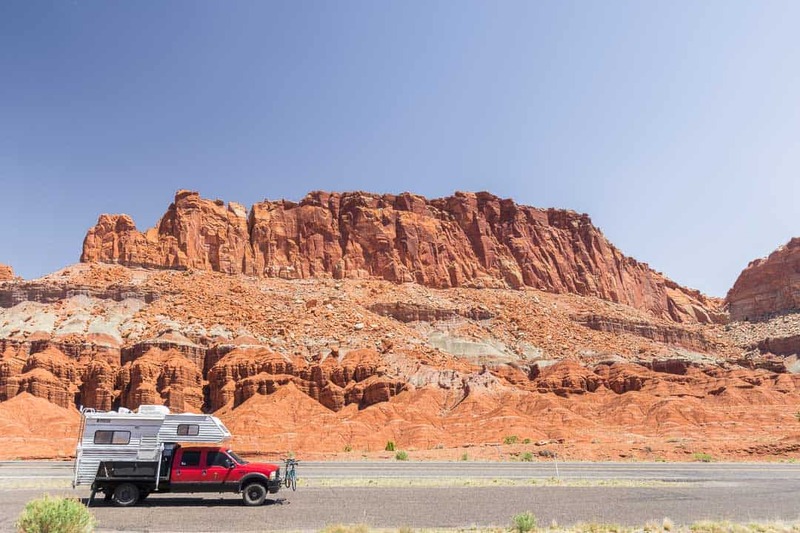 Seeing our truck camper against the landscape always puts things in perspective for us. Walking among the landscape also puts things in perspective! 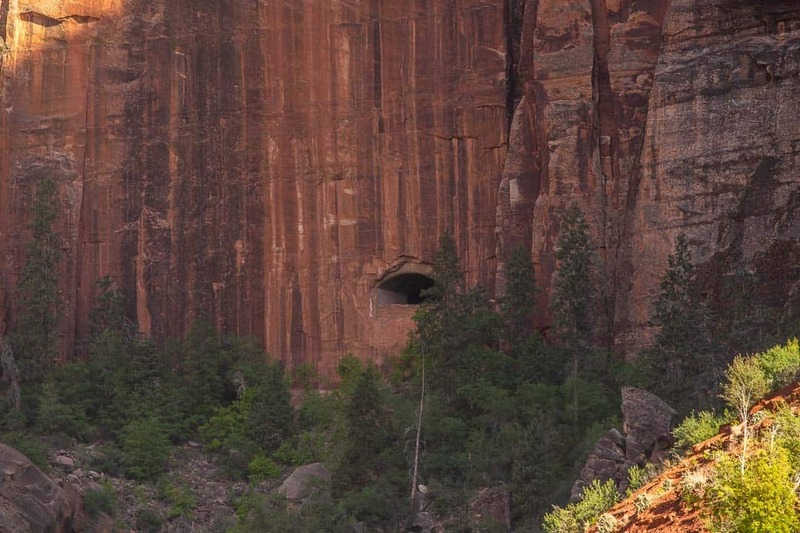 A view of the “window” into the tunnel you can drive through in Zion. 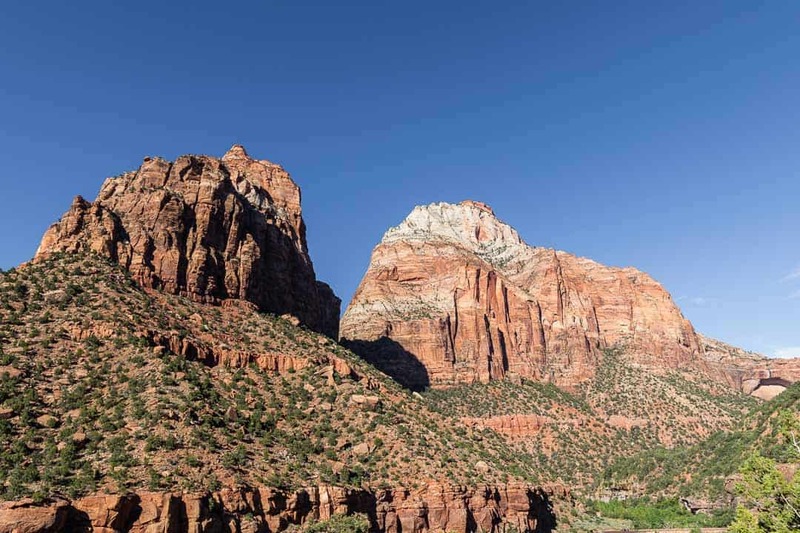 We first adopted the word “vastness” to describe America after seeing the vastness of Zion National Park. 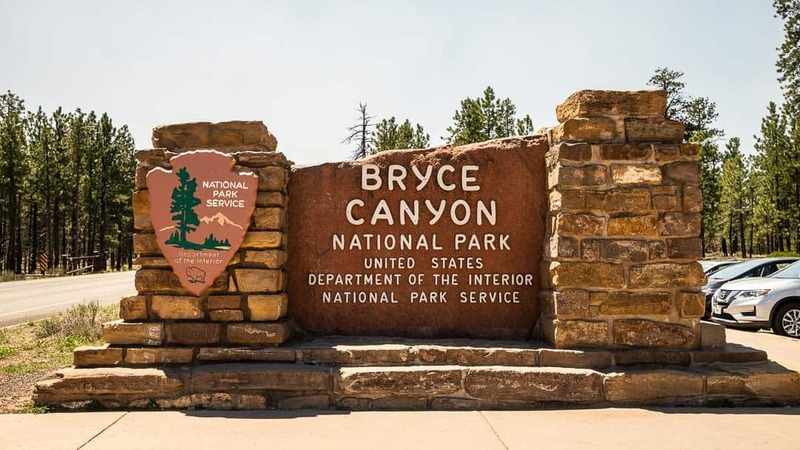 Bryce Canyon was perhaps the most interesting of the Utah National Parks. 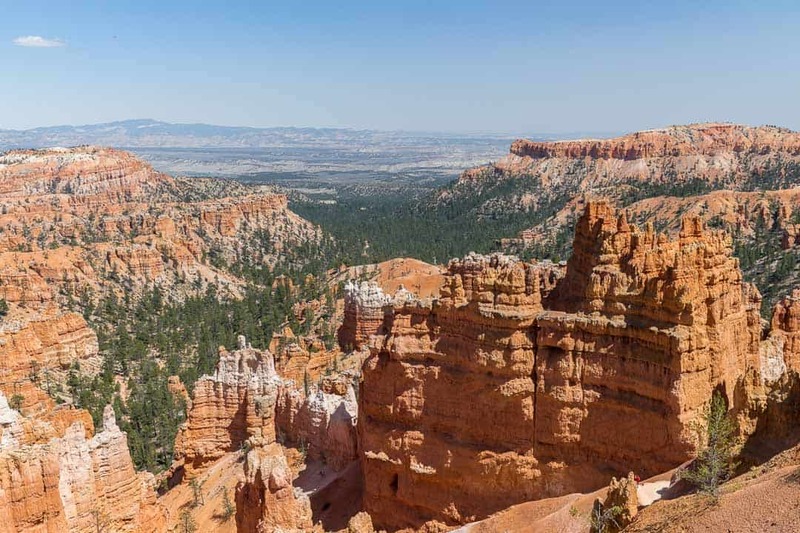 It is known for the various “hoodoos” throughout the park. 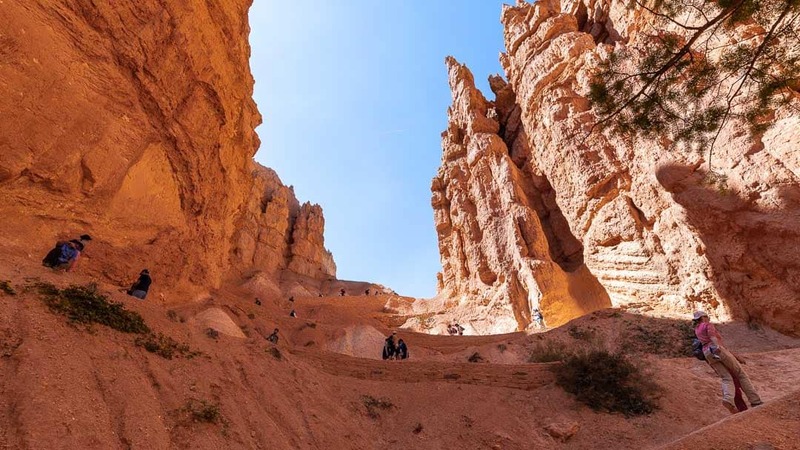 A hoodoo is a stack of rocks on which one large rock is on top. 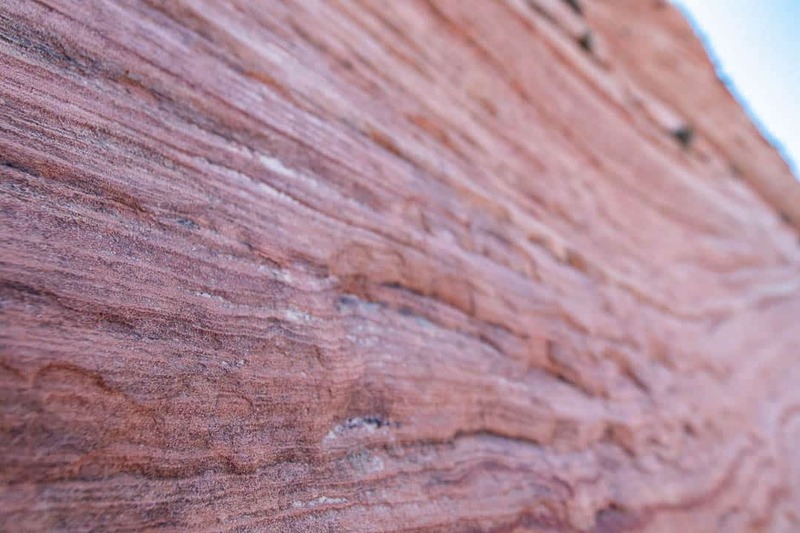 The weight of the top rock compresses those below and slows down the erosion. This makes for quite unique and spectacular scenery. A view of the landscape from the top of the trail. A view of the “amphitheater” from above. 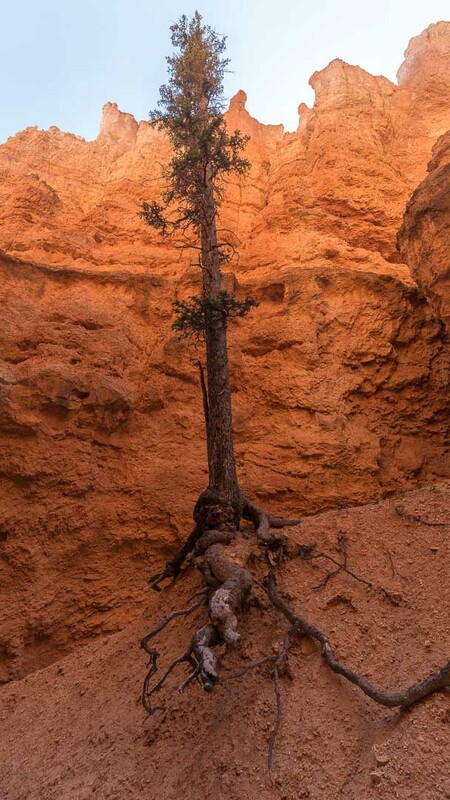 Trees were desperate to grow (and hang on) in many places! 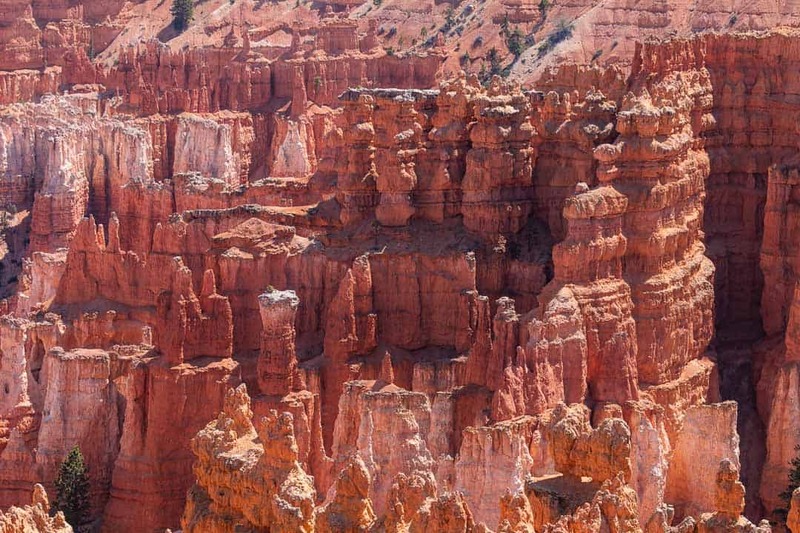 Hoodoos as far as the eye can see! 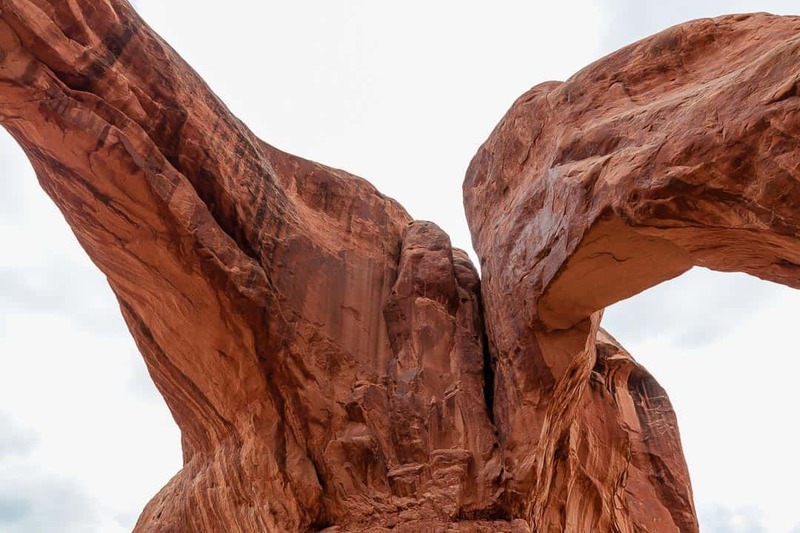 A bridge eroded from the sandstone landscape. 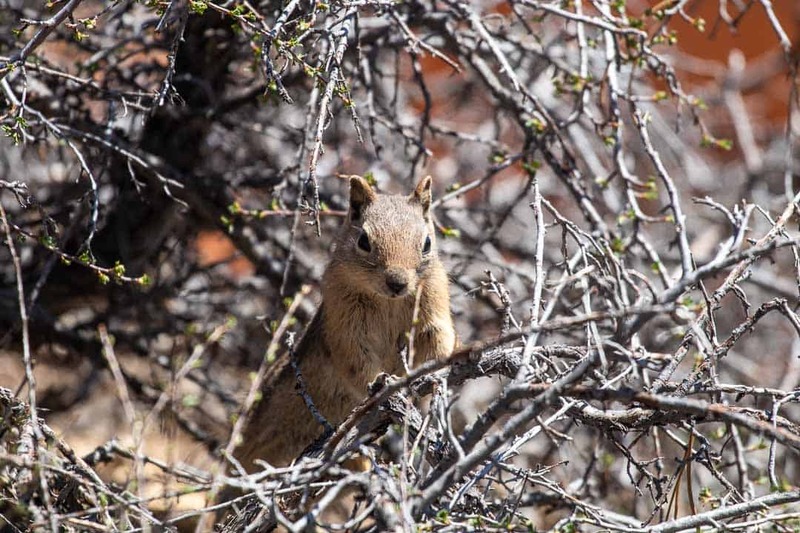 Wildlife was abundant in Bryce Canyon. 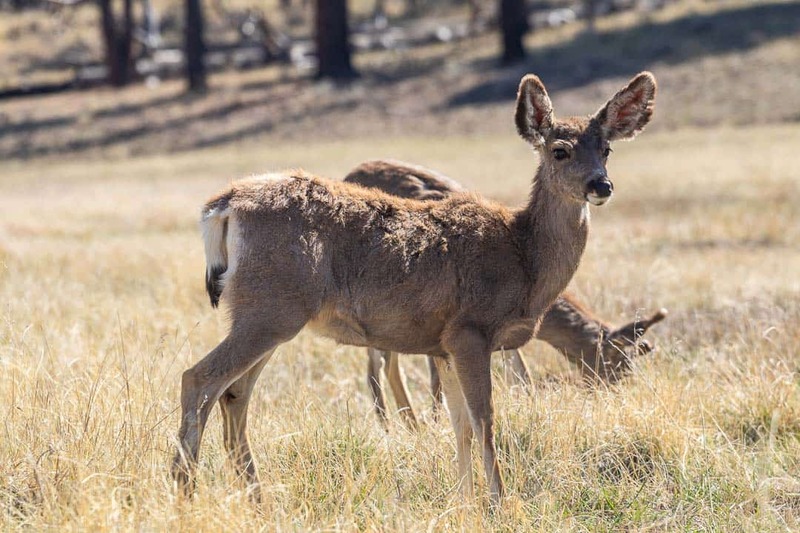 These mule deer didn’t mind that we were so close! 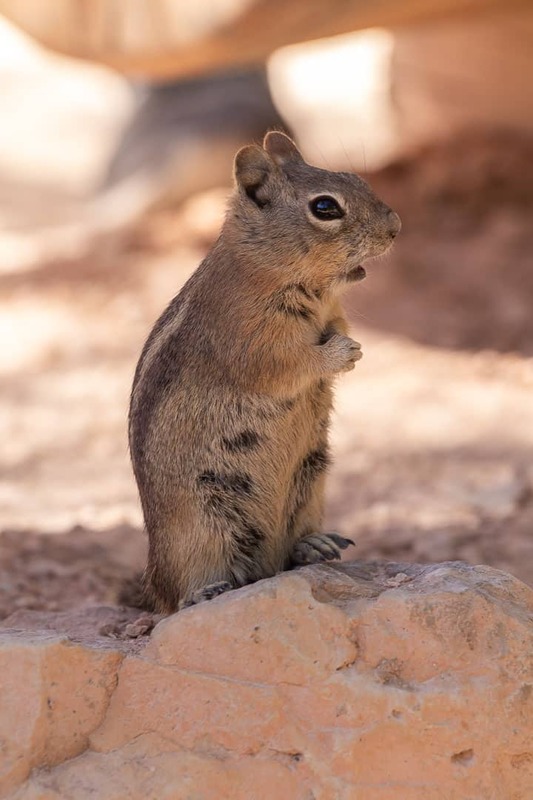 We also saw a lot of chipmunks. However, we noticed that people were feeding them in order to get closer to them. This is a big “no-no” and a huge pet peeve of ours. Please NEVER FEED WILD ANIMALS! 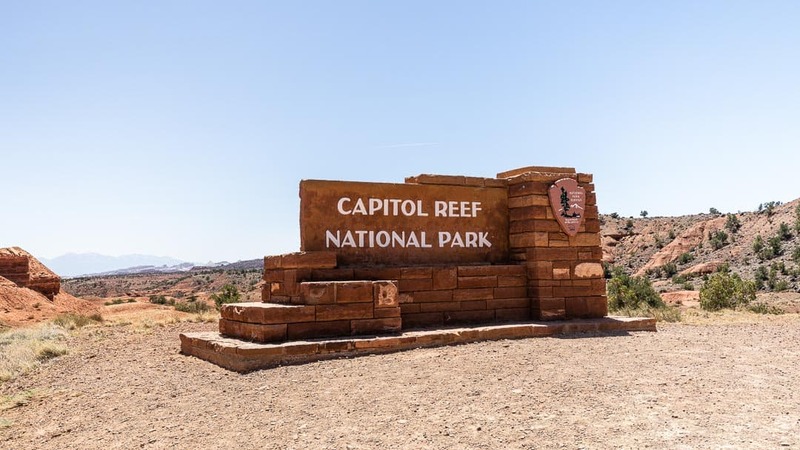 Capitol Reef was our least favorite of the 5 Utah National Parks. We drove the length of the park, including the 8 mile scenic drive out of Fruita. 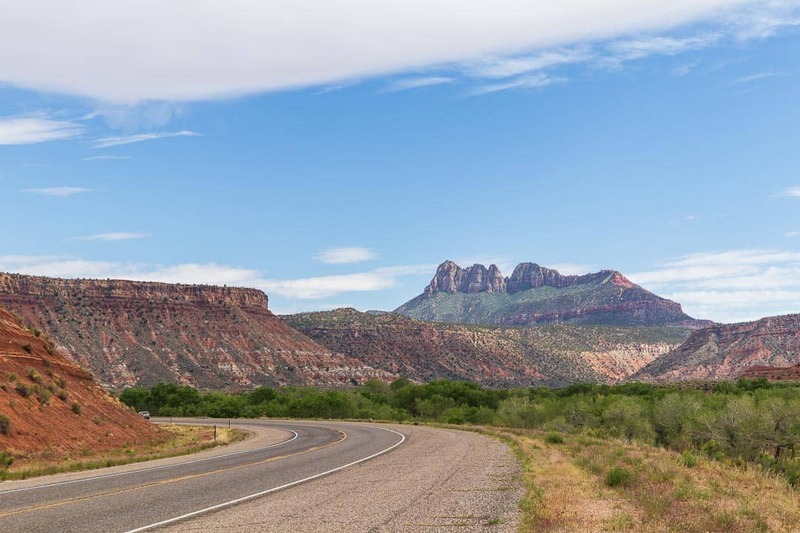 The most spectacular part of the park to us was the history of the Mormon settlers who developed the area for fellow travelers. The landscape looked more like what you would expect of Mars rather than Earth. We took time to splash in a river and eat a picnic lunch! 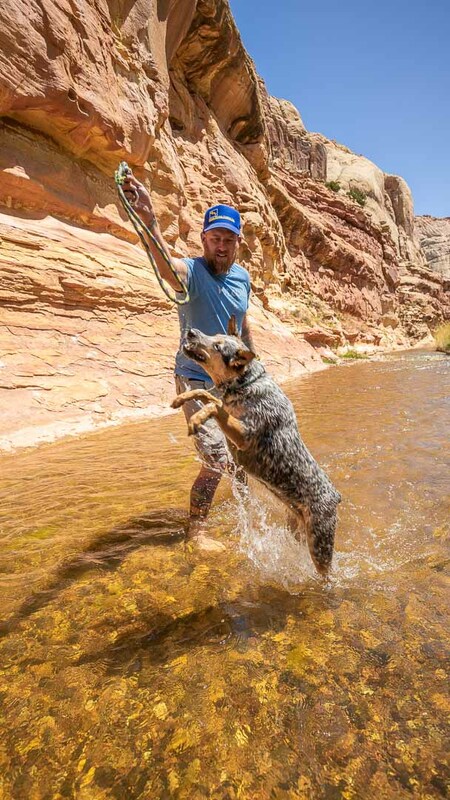 Everest is a fan of water – any kind of water and at any time of day! 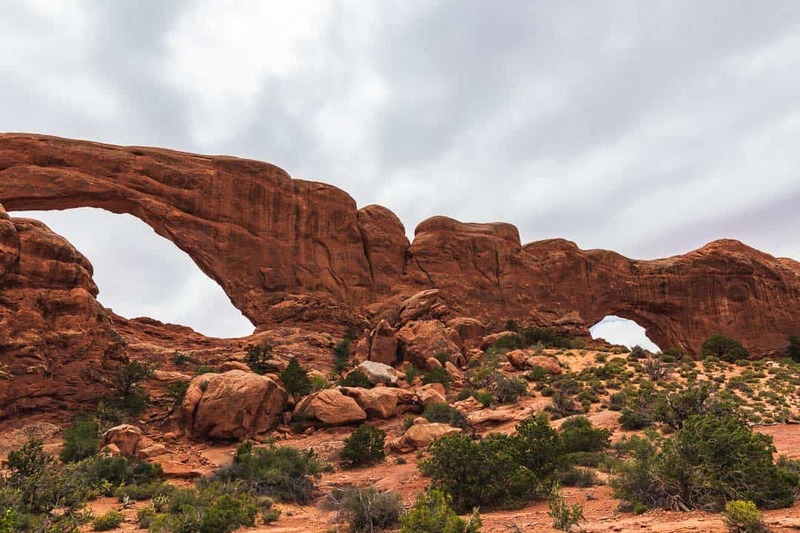 We spent more time in Arches National Park than any of the other Utah National Parks. Although it was busier than any other park, by far, we did manage to stumble into the very last campsite inside the park. This gave us a relatively unique opportunity to wake very early in the morning and hike out to see the famous Delicate Arch at sunrise. Don’t be fooled. The hike out is far more strenuous in the dark than you might expect! Lindsay getting her “picture” under the famous arch! A view of the arch system from below. Each archway formed very slowly by water eroding it over time. 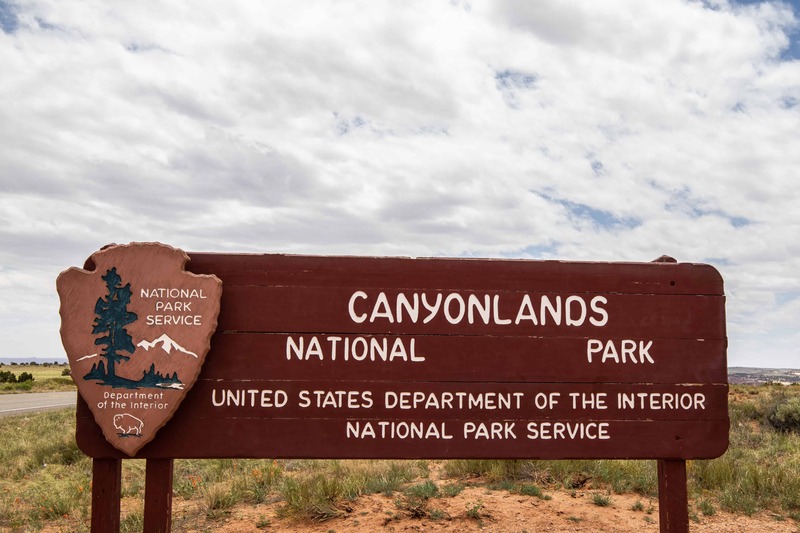 When we go back we plan to spend more time at Canyonlands National Park. 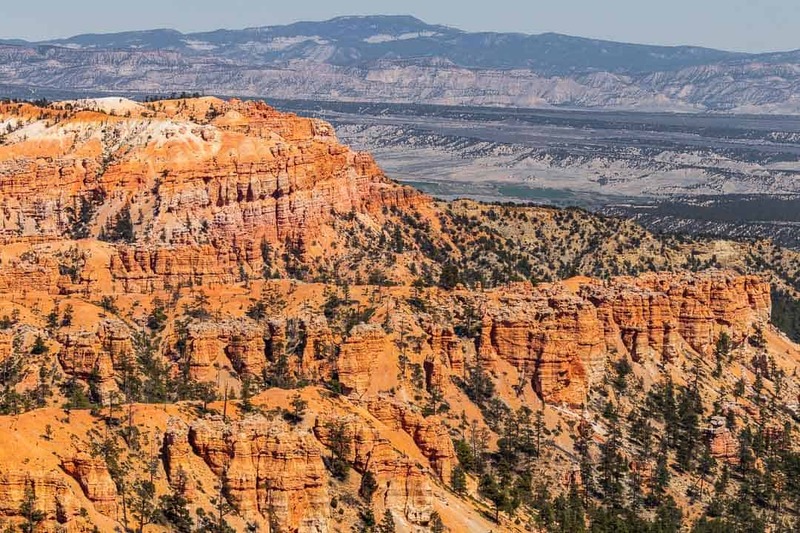 Of all of the Utah National Parks, this one was just a drive in and out for us. 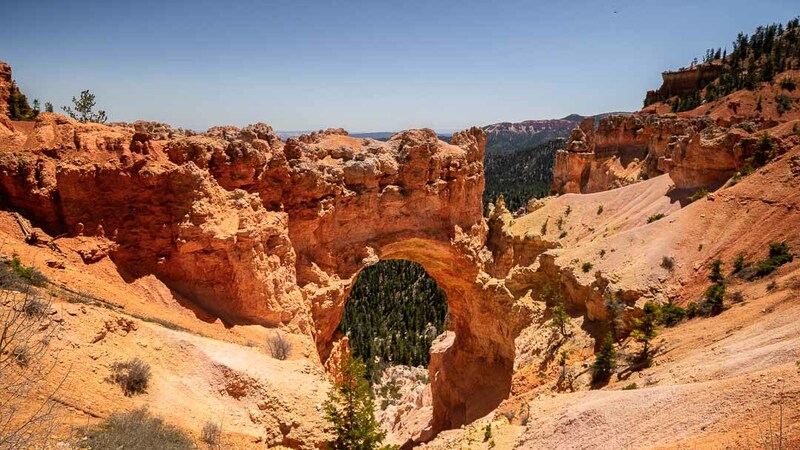 It is the largest of the Utah National Parks and you could very easily spend several days, if not several weeks exploring it. 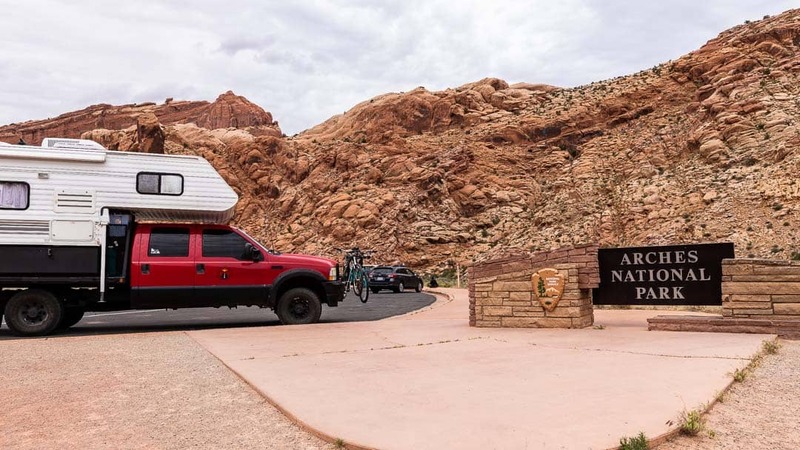 We only had a few minutes, as we were unable to secure camping in nearby Moab and chose instead to make our way into Colorado. However, with proper planning and toys (4-wheelers, mountain bikes, etc.) one could spend a lot of time enjoying this park! One panoramic view of the vastness of the park. 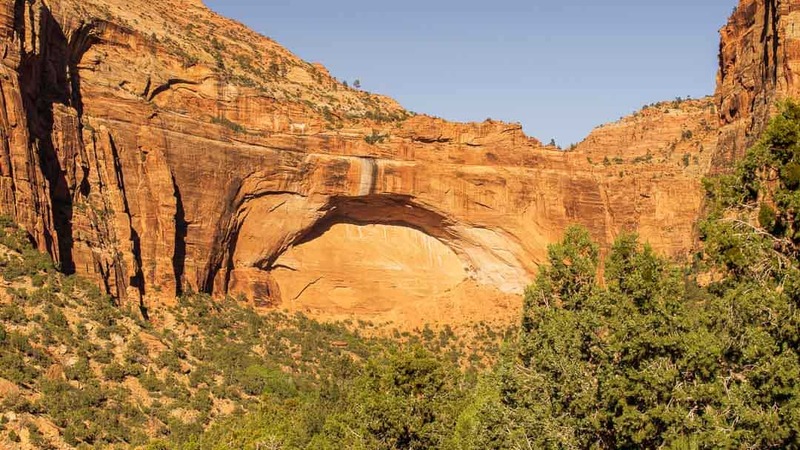 Ready to plan a trip to explore the American Southwest? 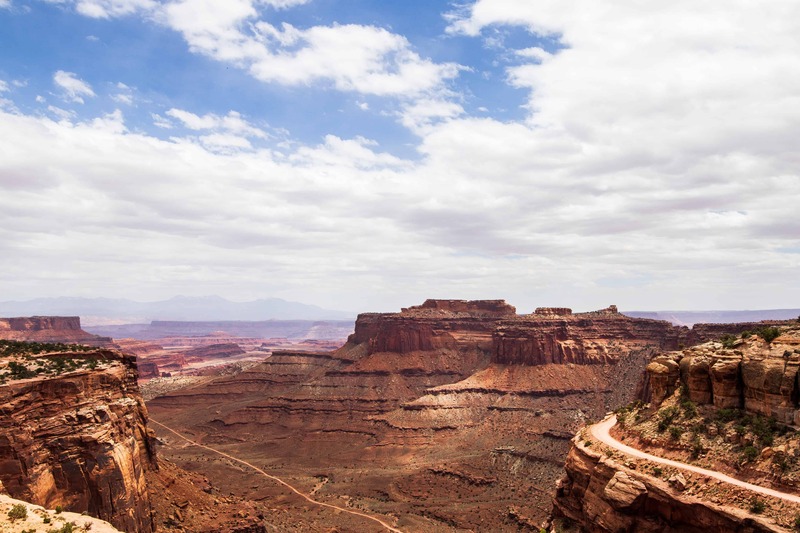 Don’t forget to start at the grandest of all canyons!